AMERICANS, YOU REALLY NEED TO SEE THIS DOCUMENTARY TO SEE JUST HOW MANY LIES WE ARE TOLD BY THE MSM AND OUR GOVERNMENT. 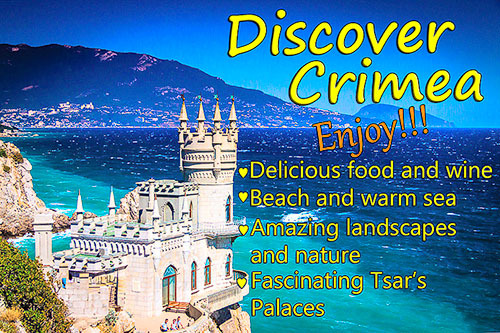 One American, Miguel Francis—a Los Angeles Film School Graduate—decided to visit Crimea and see the true situation for himself. He was shocked! It is so sad to see how deprived many Americans are by their lack of international travel and lack of knowledge regarding the countries we are taught to consider “Enemy.” My sister, who has traveled the world because she works for an international agency, and I, who have been privileged to travel on 4 other continents, were talking recently about how deprived those who have not had the opportunity to travel are. Deprived, because they do not know that people in every country are no different from us–in their desire to love, to live in peace, to have fun, to share music, food, dance, and friendship. WE ARE TRULY ONE! But sadly—deprived of this knowledge—many Americans believe the lies we are taught and are therefore unable to look out over our planet and see Russian friends, Egyptian friends, Syrian friends, Afghan friends, Iraqi friends, Iranian friends …. on and on and on. There is no limit to the amount of loving friendships all Americans could have. IF ONLY ALL KNEW THE TRUTH! Filed under: Crimea, Russia |	Comments Off on AMERICANS, YOU REALLY NEED TO SEE THIS DOCUMENTARY TO SEE JUST HOW MANY LIES WE ARE TOLD BY THE MSM AND OUR GOVERNMENT.